Let Laura inspire you in person! for your next Meeting or Gathering? Ready to live your Extraordinary Life? Let Laura inspire you and your group to your own unique greatness. 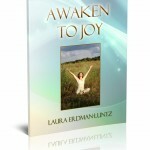 She speaks on several topics related to living up to your full capabilities, creating a life you dream of living, and awakening to the joy within you. Laura’s presentations are known to be down-to-earth and practical. She shares the “whys” of every step so people understand the point. Participants leave not only with new ideas, but also a strategic plan for moving their lives forward. Laura’s talks can be tweaked to fit the specific needs of your group. Contact Laura directly (Laura[at]muselan.com) about engagements. Printable speaking brochure for Laura: Inspirational Speaking with Laura Erdman-Luntz. What if there was a way to manage your energy to get more done during the day and still feel you have some energy left when you go home? Time management is dead — we all have way to much to get done — what we need is Energy Management. Laura is also an experienced Yoga Educator with almost 25 years experience teaching Yoga and training Yoga Teachers. Check out all the Yoga workshops Laura teaches! She is continuously developing new workshops as well so contact her directly for more information.